According to an Ifop poll published on November 4, the far-right leader Marine Le Pen’s RN rose to 21% from 17% previously. 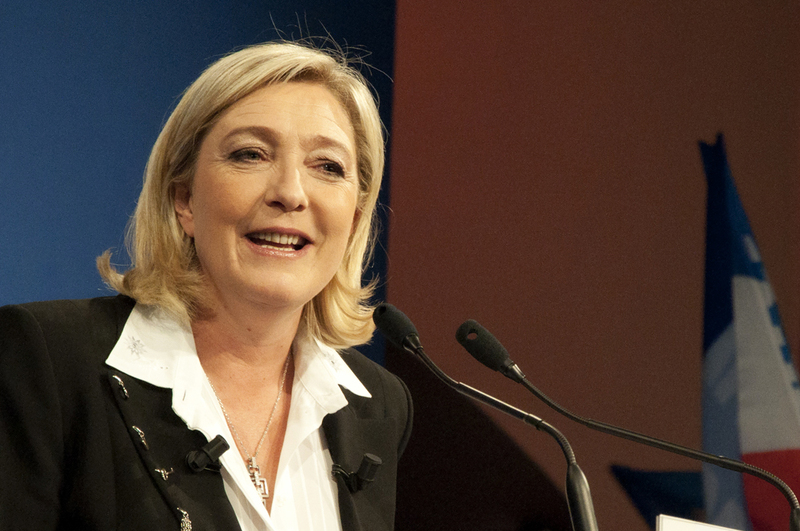 For the first time in a poll of voting intentions for May 2019 European Parliament elections, France’s far-right Rassemblement National (RN) party jumped ahead of President Emmanuel Macron’s LREM. The centrist Republic on the Move (LREM) enjoys 19% of voting intentions compared to 20% at the end of August, according to an Ifop poll published on November 4. Meanwhile, the far-right leader Marine Le Pen’s RN (formerly the National Front) rose to 21% from 17% previously. As reported by the Reuters news agency, together with the 7% score of sovereignist Nicolas Dupont-Aignan and one percent each for “Frexit” parties led by former Le Pen associate Florian Philippot and Francois Asselineau, far-right parties won a combined 30 percent of voting intentions, up from 25% end August. The poll asked nearly 1,000 French people on October 30-31 who they would vote for if the European Parliament elections were to be held the next week. According to the findings of the poll, the conservative Les Republicains party led by Laurent Wauquiez slipped two percentage points to 13%, while the left France Insoumise led by Jean-Luc Melenchon fell from 14 to 11%. Back in May, an Ifop poll showed the LREM would win 27% of the EU parliament vote, well ahead of the far right’s 17% and more than Macron’s 24% in the first round of France’s April 2017 presidential elections.